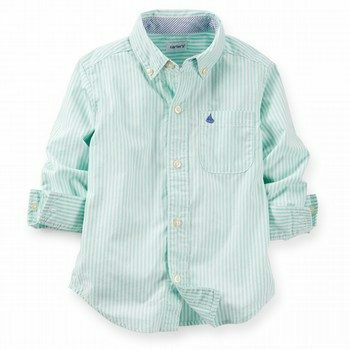 Lovely mint green striped button up shirt. A great addition to the dress up wardrobe, looks great with a pair of twill pants or shorts for a polished look. Blue sailboat embroidery detail. 100% cotton poplin.